A Band of Angels is fiction, but it is based on real events and people. The character of Ella was inspired by Ella Sheppard Moore, who was born February 4, 1851, in Nashville, Tennessee. Her father was able to free himself and young Ella from slavery, but before he could buy freedom for Ella's mother she was sold away. Ella was raised in Cincinnati, where she took music lessons. At fifteen, she was left penniless when her father died. She arrived at Fisk School in 1868 with only six dollars. Fisk was opened in 1866 as a school for former slaves and began offering college classes in 1871. That year, in a desperate attempt to save Fisk from closing, a music teacher named George White set out with a group of students on a singing tour to raise money. Although at first they only sang popular music of the day, they soon became famous for introducing spirituals to the world. Ella Sheppard was the pianist for the Jubilee Singers on their historic concert tours, which raised enough money to save the school and build Jubilee Hall, the first permanent structure in the South for the education of black students. Ella later married George Moore, had three children, and located her mother and a sister. She died in 1914. Today her great-granddaughter is a librarian at Fisk University who shares the history of the Jubilee Singers with visitors. Although none graduated from Fisk, the original Jubilee Singers were recognized with honorary degrees in 1978. Today, Jubilee Singers at Fisk University continue to keep alive a rich musical tradition that includes such songs as "Swing Low, Sweet Chariot," "Many Thousand Gone," and "Go Down, Moses." 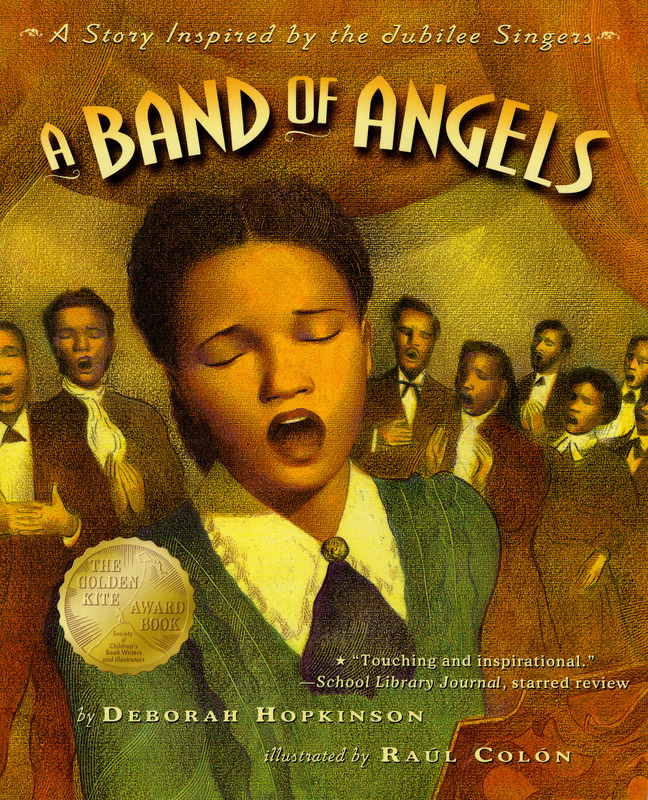 Deborah Hopkinson is the author of numerous award-winning children's books, including Sweet Clara and the Freedom Quilt, winner of the International Reading Association Award, Girl Wonder, winner of the Great Lakes Book Award, and Apples to Oregon, a Junior Library Guild Selection. 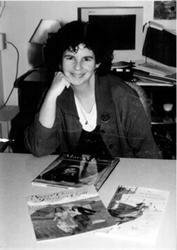 She received the 2003 Washington State Book Award for Under the Quilt for the Night. She lives in Oregon. Visit her onlinw at DeborahHopkinson.com.